Whether you’re ticking off the days that we’ve been below zero (53 at last check) or griping about the endless battle with snow and ice removal, it seems you can’t escape a conversation in Minnesota without at least broaching the subject of this long winter. 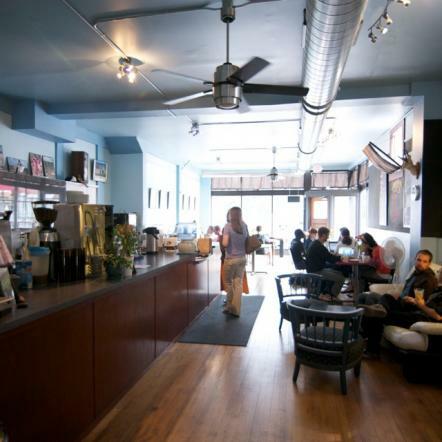 It’s hard to argue that it has hit some harder than others, and that includes local small business owner, Melanie Logan, who runs the vibrant South Minneapolis coffeehouse Blue Ox Coffee Company at 3740 Chicago Ave. S., Minneapolis. 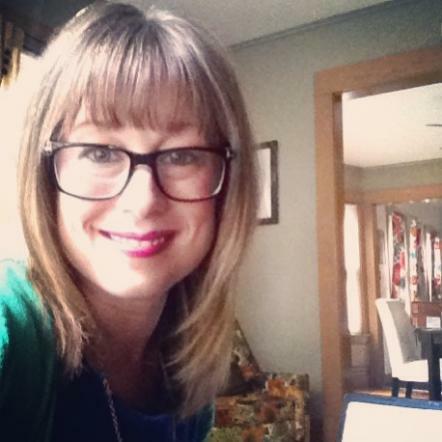 Logan recently made the hard decision to turn to social media and ask her customers and supporters for a little extra help while winter still has us in its polar vortex headlock. She sat down with Simple, Good and Tasty to talk about the overwhelming response to her request and her hopes for the shop’s future. Blue Ox doesn't skimp on the barista flairCan you remember back to your first dreams for Blue Ox? All the reasons you wanted to open it? Blue Ox has always been about being part of the community. I moved here in ‘97 after living up and down the East Coast, as well as Texas and North Dakota. Minnesota was the first place that really felt like home. 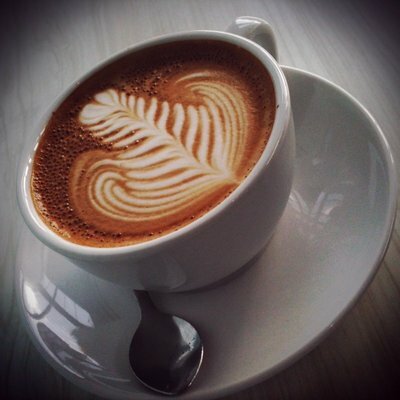 Some of the first places I ever felt welcome in town were coffee shops. Every neighborhood deserves to have a place that isn't wrapped around alcohol and food where they can just mingle and drink tea or coffee with friends. 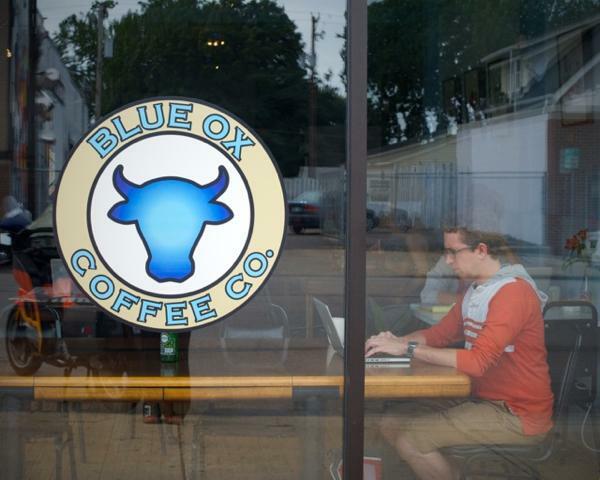 Other than being a coffee house — which are known for being great community meeting spots —Blue Ox gets actively involved in the community, right? I know you’re a pick-up site for some CSAs (Community Supported Agriculture). Yes. And we have been pretty active, when approached, by donating to various groups, as we can. And we are once again bringing in artists to display their work on a rotating basis. When did you realize Blue Ox was hitting rough financial times and what did you identify were the causes? November and December typically get slow as families tend to spend more time and money at home in preparation for the holidays. We've seen that pattern for the previous two winters and usually weather that just fine. Like most food-oriented businesses, we operate on a pretty small margin. But this winter has been brutal. Everyone in Minneapolis knows it gets cold, but it came early and has certainly stayed late. People stayed indoors. And we certainly aren't the only business suffering. I've had that conversation with more than one shop owner in and out of the neighborhood. There are only so many cuts you can make to staff before it affects service. So, when January and February were also very slow — down 30 percent over previous years — it was serious enough that I had to withhold rent just to keep the lights on and staff paid. The first part of February I let the staff know that things were grim and if they needed to find other employment I understood, but I had to cut hours significantly, as well as hours of operation. We are still closing an hour earlier than I would like, but at this point it's what needs to be done. How has the community come to your aid to date and what has been the reaction in-house — of you and your staff? When we put the Facebook post out asking for donations to help us stay open it was a pretty last ditch effort. About a week before we posted it, my partner and I asked friends and family first. That yielded about $1,100 that helped us pay the January rent during the last week of February. After the Facebook post, our regulars and their friends stepped up in a way I really hadn't imagined would happen. The amount of shares of that post was incredible. It was like that six degrees of separation game; everyone just seemed to hear about it. Over 14,000 people saw our post. The words of encouragement as well as cash donations were overwhelming. We didn't raise as much as we had hoped, but with the labor cuts we should be okay. If Blue Ox remains, what are your hopes for its future? This is a great area with great neighbors. We see new faces every day and hope to continue that trend through the remaining two years of our lease.